Since the success of my last post on this topic, I made another Problems and Solutions. In this one, I gather problems found with players and explain a solid solution to what I have gathered. 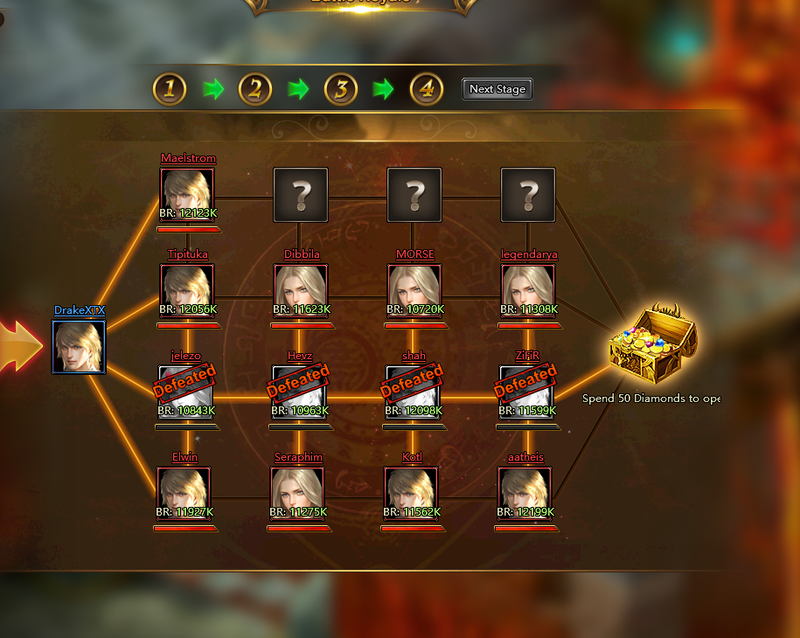 We have talked maybe in the previous one about it and still some players have a lot of questions about it, so here is what you do in a few simple steps. Click refresh to refresh your client or click the link in the browser you are playing the game on to refresh it, then login again. When the game is running again got the Daily Quests section and this will be the result. 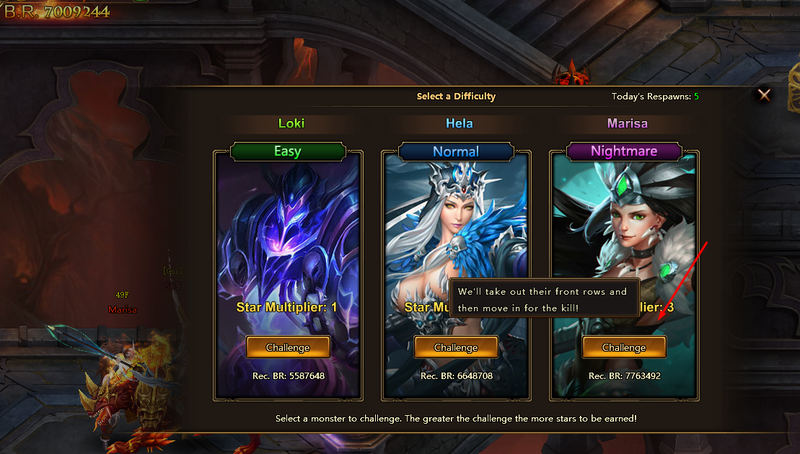 The chests are back to normal and you can continue playing the game. Should this happen more times, just follow these steps to solve it. 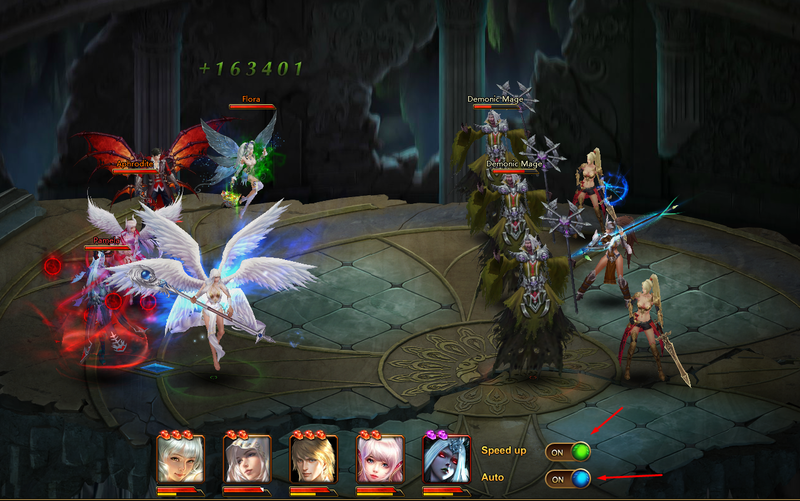 We all like to get a lot of stars, especially me who is addicted to the 9 stars score since it will let you auto skip them with as reward what they usually drop, the next time you play the Abyss Dungeon. So you found a hero too tough for you even if your BR is higher, you can always go for the 3 stars or 6 stars, but if you cannot beat the nightmare for 9 stars here is what you can do. Now like you want fight them but you do not have enough power to tackle them, if you are bend on getting 9 stars, the next step will supply you with the means to do so. Goto your aid found in your options bar in the lower right of the screen while in the Abyss Dungeon. And Click on it. Choose one of your friends their squad to do battle on your behalf. 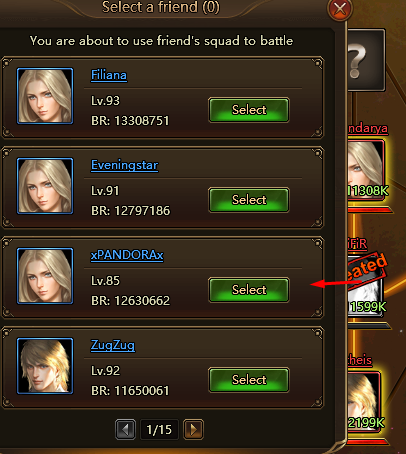 After selecting one of your friends, their assisting mode appears in the top right of the screen. Then click the Nightmare 9 stars opponent and have them fight it for you. So you know, make sure Auto Attack and Speed Up are active while the battle is going, prevents the long wait. This however will give you the rewards of gold stars and hell coins, yet you cannot skip this one until you have beaten them yourself. Use it only if you really cannot beat your opponent, otherwise if you need help with a stronger opponent and you have no turns left for aid, then you have wasted them for nothing. I play the new release of Battle Pet and i am doing Battle Royale, i get to 4th round and i cannot finish the last 3 matches. 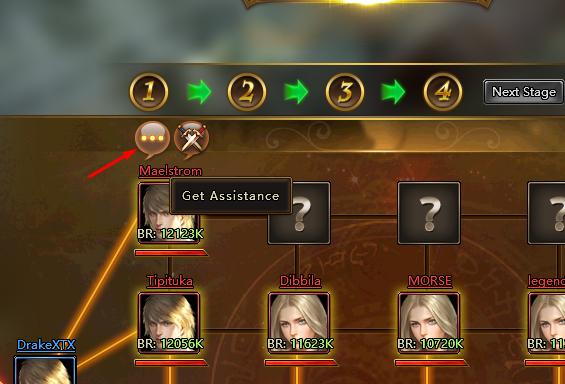 Since i completed mine already, here is how to do it, Let's say i want to attack the player, Maelstrom, but i am too weak. This is how to defeat him/her, depending what player it is. Hover your mouse cursor over their picture and click the "..." icon. 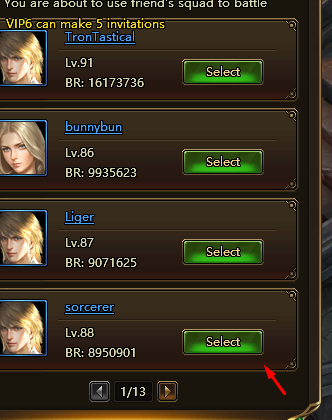 A list of friends should be shown and click on select of the one of a high BR then if easy battle is enabled it should take a few seconds to finish or if it is not enabled, enjoy the show seeing your friends finish off the high leveled player for you, you still get a confirmation that the player is beaten and this way you can continue to the final chest. They say some heroes are OP (Overpowered) is this true? It is true there are heroes like the Mythical Rei and Moira that are tough to beat, but in Pamela's case, Yes, she is way to overpowered. Only way to beat her is either have a higher DPS (Damage Per Second) a tank or Debuff at your disposal or if you got this problem in area or Battle Royale, ALOT of diamonds. Around 90 to 200 diamonds, should be plenty. Well that is all for this Problems and Solutions for League Of Angels 2, Follow me on Twitter @Thunderhaven_AE and msg me if you have any problems with the game and need some advice. Until then. What's wrong with GTArcade moderators?!? I am using windows 10 firefox browser. i have updated my java and adobe flash. still no luck. Sorry for a very late reply, but you do not need Java, just ue Greasemonkey instead, sinced it is loaded with a more advanced java code. As for Flash if it doesn’t work, try also downloading flash air. If this does not work remove the client and re-install it, to remove the client simply remove the client executables from your desktop and your start menu along with the map or directory where the game is placed manually. Then install the game again automaticly, this prevents the bug, however if it is still there post a complain on their forums. I got a black screen when fighting i cant see characters i can see character names and damage but not toons.